Heading for three different orbits on a marathon mission that will conclude with the rocket’s fourth stage becoming a platform for experiments, the PSLV is set for launch at 0357 GMT Monday (11:57 p.m. EDT Sunday) from the Second Launch Pad at Satish Dhawan Space Center on Sriharikota Island, located on India’s east coast on the Bay of Bengal. 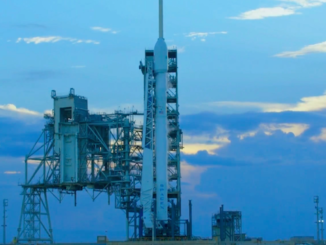 Liftoff is scheduled for 9:27 a.m. Indian Standard Time on Monday. The PSLV will launch in a new configuration with four strap-on solid rocket boosters, a configuration named the PSLV-QL. Previous PSLVs launched with six, two or zero strap-on motors. The primary payload is EMISat, an Indian satellite with instrumentation to detect, locate and characterize electromagnetic signals, such as those transmitted by military radars. The PSLV’s fourth stage will release EMISat, a 961-pound (436-kilogram) spacecraft built for India’s defense forces, in an orbit 465 miles (749 kilometers) above Earth, then maneuver into a lower 313-mile-high (504-kilometer) orbit for the deployment of 28 more satellites, according to information published by the Indian Space Research Organization. A PSLV mission in 2017 set the record for the largest number of satellites ever launched on a single rocket, delivering 104 spacecraft to low Earth orbit for a range of international customers. 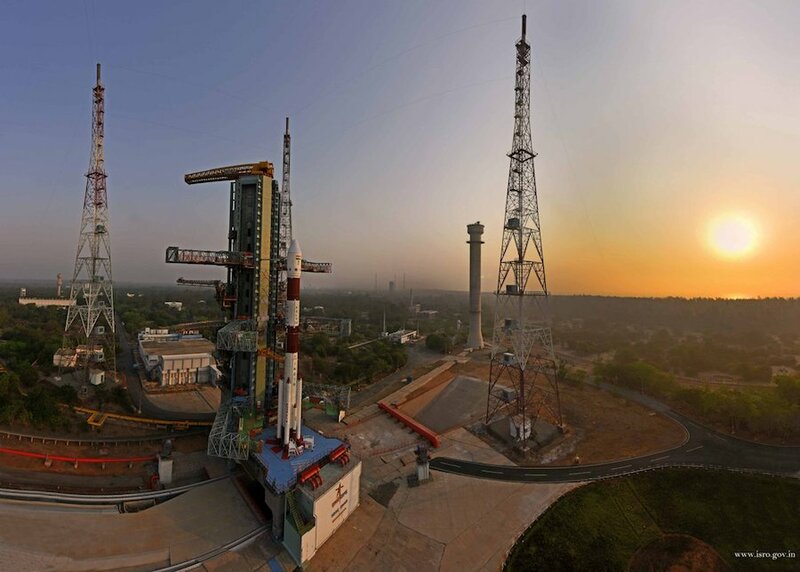 The upcoming PSLV flight, designated PSLV-C45, will mark India’s second space launch of the year. Twenty of the secondary payloads set for launch on the PSLV-C45 mission are owned by Planet, a San Francisco-based company which operates more than 100 Earth-imaging satellites. Planet’s next 20 Dove nanosatellites, each about the size of a toaster oven, will join the company’s imaging fleet providing daily views of every location on Earth. The PSLV launch set for Sunday night (U.S. time) will be India’s first since the country’s military successfully tested an anti-satellite missile Wednesday, destroying an Indian satellite in orbit roughly 175 miles (282 kilometers) above Earth. Sunday night’s launch will mark the fifth time Planet has put its satellites on an Indian rocket, making Planet one of the Indian space program’s biggest export customers. Planet books its rides on PSLV missions with Antrix, the commercial arm of ISRO. For Sunday’s launch, Planet arranged for its satellites to ride on the PSLV through Spaceflight, a commercial smallsat launch broker based in Seattle. 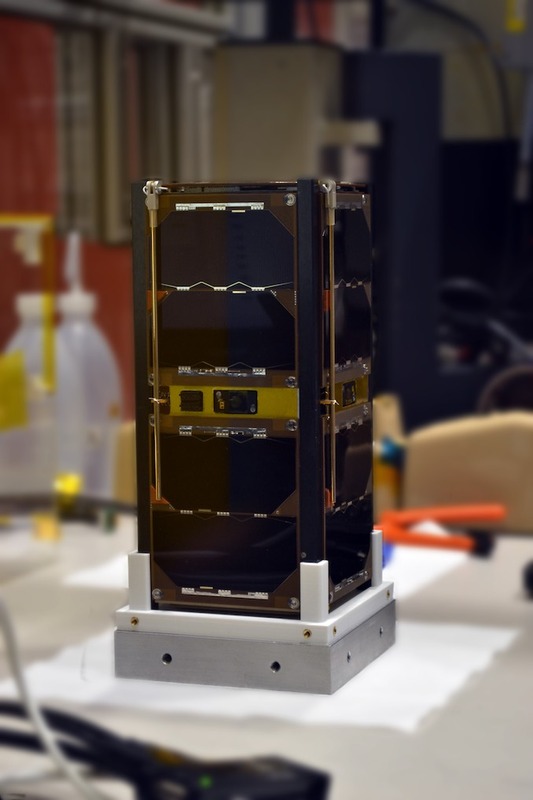 Four Lemur-2 CubeSats owned by Spire Global are also awaiting launch Sunday night, set to join Spire’s fleet of more than 70 active nanosatellites tracking ships and collecting atmospheric data that could one day improve the accuracy of weather prediction models. 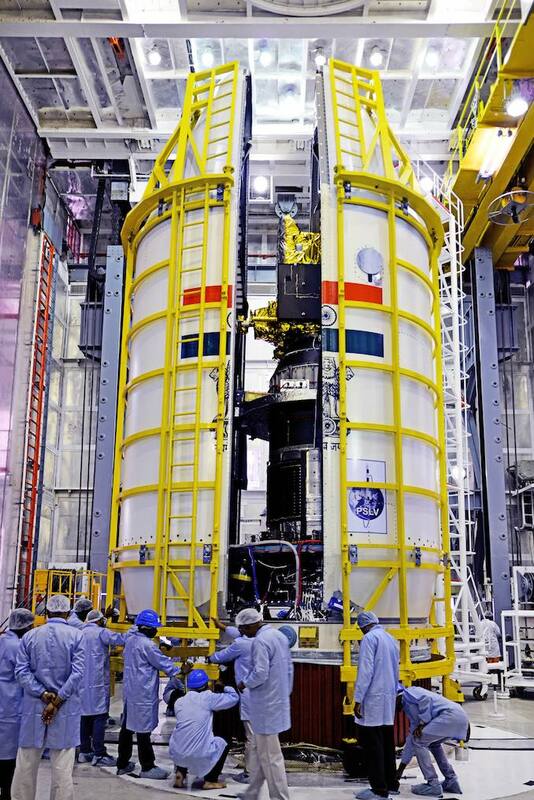 The second satellite for Astrocast, a Swiss company aiming to build a network of 64 data relay satellites in low Earth orbit, is also set for launch aboard the PSLV. The shoebox-sized Astrocast 0.2 spacecraft will join Astrocast 0.1, which launched on a SpaceX Falcon 9 rocket in December, to begin demonstrating the company’s concept of using nanosatellites to collect and downlink data from weather buoys, wellhead sensors, pollution monitors and other remote stations. A Lithuanian company named NanoAvionics has two satellites fastened atop the PSLV. One the satellites is named BlueWalker 1. It will test unspecified “patented technologies” in space for AST & Science, a U.S.-based smallsat startup company which acquired a controlling interest in NanoAvionics last year, according to company statements. NanoAvionics announced in February that it was building three low Earth orbit nanosatellites for AST & Science, a list which presumably includes BlueWalker 1. The three nanosatellites “will be used to test a range of experimental payloads for defense and commercial customers, and will include a Q/V-band satellite for test and evaluation,” NanoAvionics said. 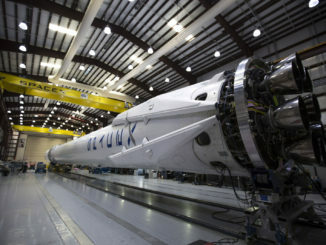 NanoAvionics said it took only one month to build BlueWalker 1 and integrate its payload. The other NanoAvionics satellite launching Sunday, named M6P, hosts two commercial payloads for SpaceWorks Orbital and Lacuna Space, two companies designing communications and tracking networks using tiny satellites as relay nodes, similar to data collection fleet planned by Astrocast. The BlueWalker 1 and M6P satellites are based on “six-unit” CubeSats, each about the size of a briefcase. The final satellite launching Sunday is AISTECHSAT 3, a smaller two-unit, or 2U, CubeSat for the Spanish company Aistech. The AISTECHSAT 3 nanosatellite is Aistech’s second spacecraft to launch into orbit, and will serve as a pathfinder for the company’s planned network of satellites providing aviation tracking and remote asset management services. The flight plan for the PSLV’s launch calls for the 145-foot-tall (44-meter) rocket to climb away from the Indian spaceport on Sriharikota Island and initially head toward the southeast. The PSLV’s solid-fueled core stage and four strap-on boosters will generate more than 1.3 million pounds of thrust at sea level. The four boosters will burn out and jettison around 70 seconds after liftoff, followed by burnout of the first stage motor at T+plus 1 minute, 48 seconds. A second stage powered by a single Vikas engine will ignite at the same time, generating 180,000 pounds of thrust while burning a mixture of hydrazine and nitrogen tetroxide propellants. The PSLV’s nose cone will jettison in two halves at T+plus 2 minutes, 30 seconds, followed by separation of the second stage at T+plus 4 minutes, 21 seconds. The rocket’s third stage, also burning solid propellants, will fire nearly two minutes. Then the rocket will begin a coast phase before ignition of the hydrazine-fed fourth stage’s two thrusters at T+plus 8 minutes, 40 seconds. The fourth stage engines will burn until T+plus 16 minutes, 24 seconds, to place the EMISat spacecraft in its 465-mile-high orbit inclined at 98.4 degrees to the equator. Separation of EMISat is planned at T+plus 17 minutes, 11 seconds. Two more brief bursts by the fourth stage thrusters, each lasting around 10 seconds, are scheduled at T+plus 1 hour and T+plus 1 hour, 48 minutes. 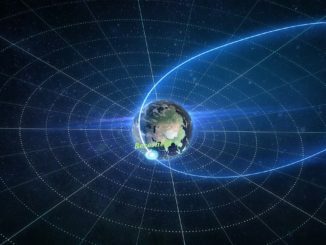 Those maneuvers will lower the rocket’s orbit to an altitude of 313 miles, with an inclination of about 97.5 degrees, setting up for separation of the mission’s 28 other payloads. The 28 secondary satellites will all be separated from the launcher by T+plus 1 hour, 55 minutes. Further burns by the fourth stage’s attitude control thrusters will steer the rocket into a slightly lower orbit 301 miles (485 kilometers) in altitude, where three experimental payloads mounted to the vehicle will begin their missions.